FCL 90 EKW – the first Raven Trust container to be loaded in Dundee arrived in Ekwendeni today and was unloaded amid great excitement and happiness. 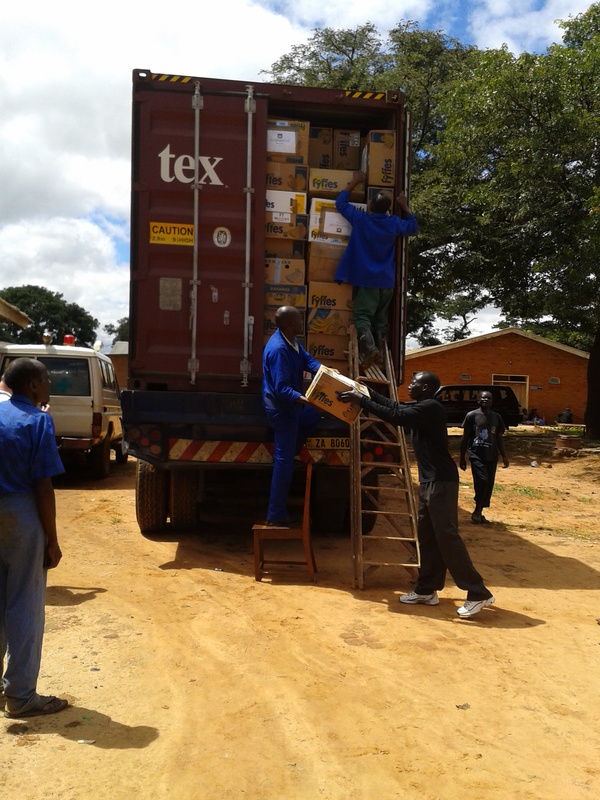 Mr Regent Gondwe, Hospital Administrator at Ekwendeni Hospital kindly sent us this picture of the container being opened and unloading getting underway. Congratulations to the Dundee team!